- paint all the Hobbit stuff and keep on painting new Hobbit stuff that is released. - paint two more crews for Malifaux (Dark Debts and the Ortegas) along with my current Malifaux backlog (it amounts to 29 assembled and primed models). Another win for me. Dark Debts were done in February. 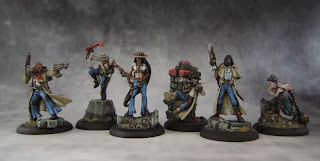 The Ortegas are all painted up and ready for... sale :) I plan to use to plastic crew as I like it more so this one will probably end up on ebay when I finally receive my order from Wyrd Games. I've also managed to deal with my all of my Malifaux painting backlog. Some of the higlights would have to include Mr Graves, New LJ crew, aJustice, aPerdita. I've been a big fan of Wyrd plastics since their release and I enjoy painting these minis more with each new purchase. I've increased the backlog but at the same time I've been consistent in working on it. - play a few more games of Malifaux. This one was a total failure as I played no games of Malifaux at all in 2013... I hope to change that in 2014 now that it's possible to play the game on Vassal but that will be a big challenge. In total I painted 191 miniatures in 2013. It's a worse result than 238 from 2012 but it's still a pretty solid number. February and August were the most productive months for me. June and July were a bit slower but I moved into a new flat then and set up a new workspace and added new lighting. I've also kept on adding more paints (Reaper, Vallejo, some GW). 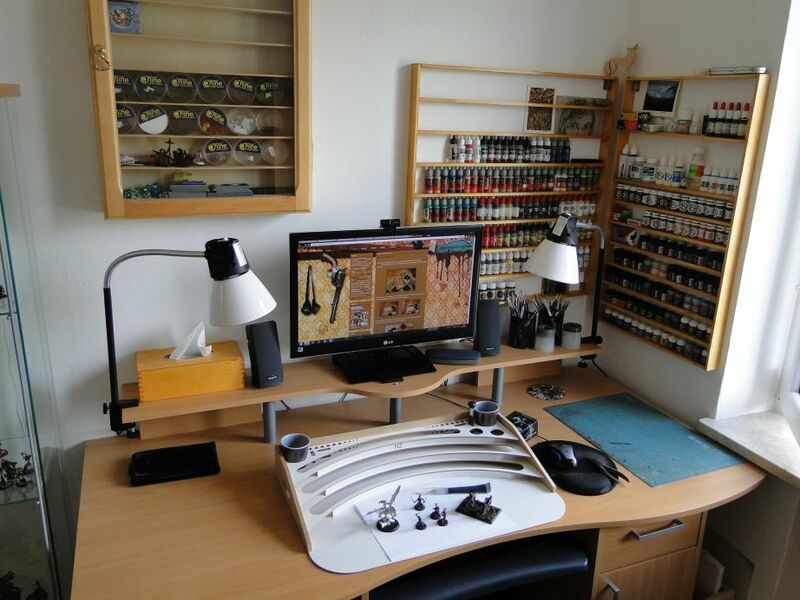 I'm really happy with my current setup and will definitely enjoy painting many miniatures there in 2014. Really, I need to change that as I've enjoyed the games I had in 2012. 2. Deal with Malifaux backlog (only 8 minis now!). Also, paint the new crews I'm currently waiting for (Ortegas and Sonnia) . 3. Paint miniatures from Warzone Ressurection when/if (?) I get them. And play at least a ew games! 4. Paint more Hobbit stuff. 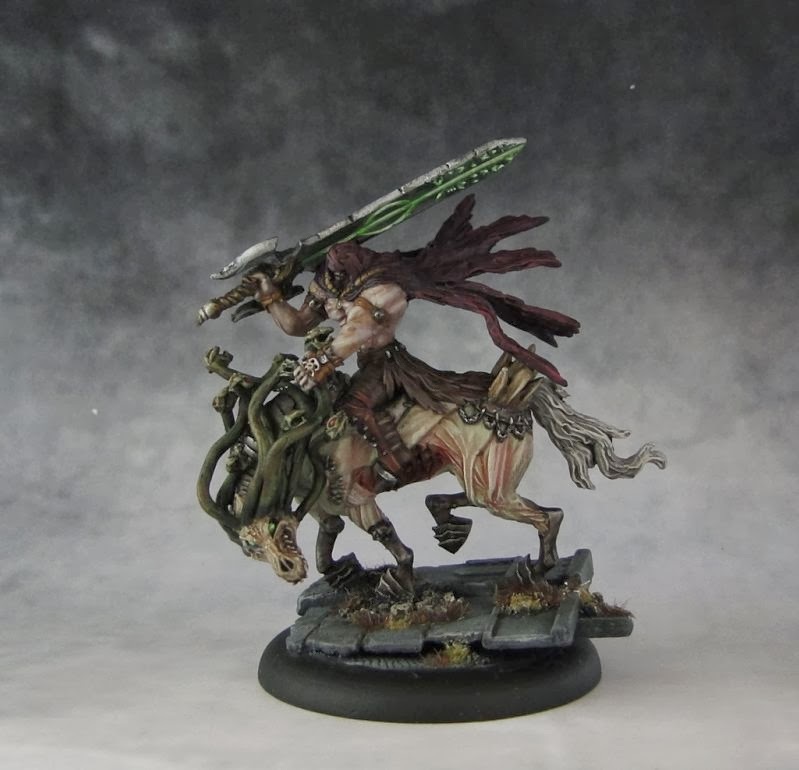 I still have a few minis painted in 2013 that I haven't showed on the blog and here's the first of them - the Hooded Rider. Quite a productive year you have had! 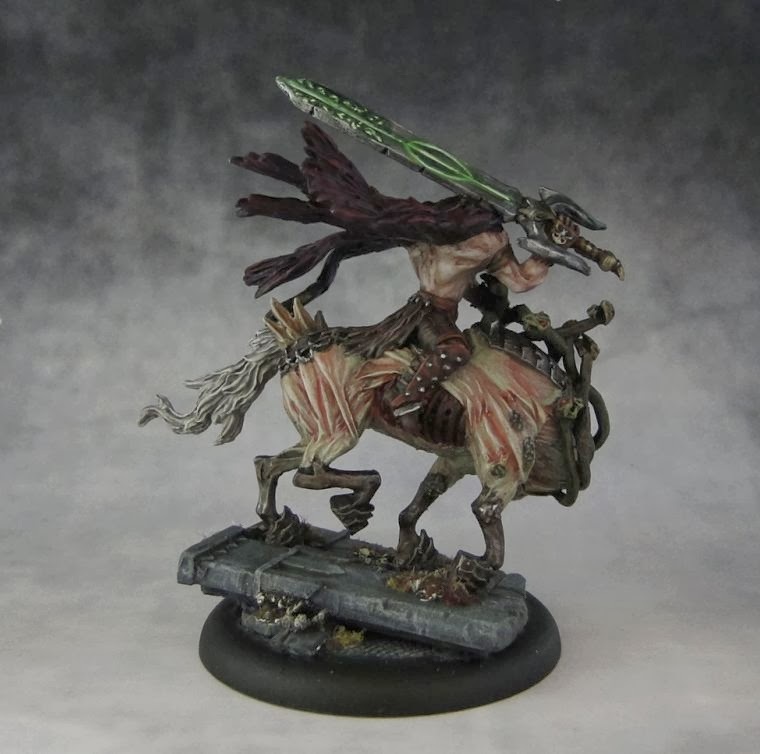 It is always nice to see painted Malifaux models, as Wyrd is not too good at showing any, he he. At the pace you seem to be going, I am sure you will be able to finish up your backlog! I too want to start playing more games of Malifaux this year. I just started playing in the later months of 2013, and have been having a fantastic time with it. Everything oozes with so much character! 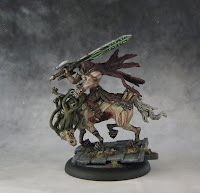 Keep up all the great work, and I can't wait to see the rest of your Malifaux stuff! Thanks for the comment. Yeah, Malifaux has a quite unique atmosphere. I've enjoyed the few games I played thoroughly. Had to think on my feet all the time. Sadly, in Poland it's not popular and finding an opponent is really hard. I'll have to give the Malifaux Vassal module a go.